Great idea Elizabeth. I have rented an allotment for the first time this year. (Note for readers in foreign parts: “allotments” are a weird thing which we Brits do: we have a house with a tiny back yard and we rent a much larger plot of land somewhere else to grow food, often in a marginal location like alongside railway tracks). It is a sad looking patch of weeds and old tyres at the moment, but armed with the accumulated wisdom here, plus having watched Gardeners’ World a few times, I will transform it into a food forest by September. Probably. I’d fill the tyres with fresh soil or bought compost and get a fast growing self-seeding crop like rocket going. Meanwhile raised beds are a good idea on poor soil. 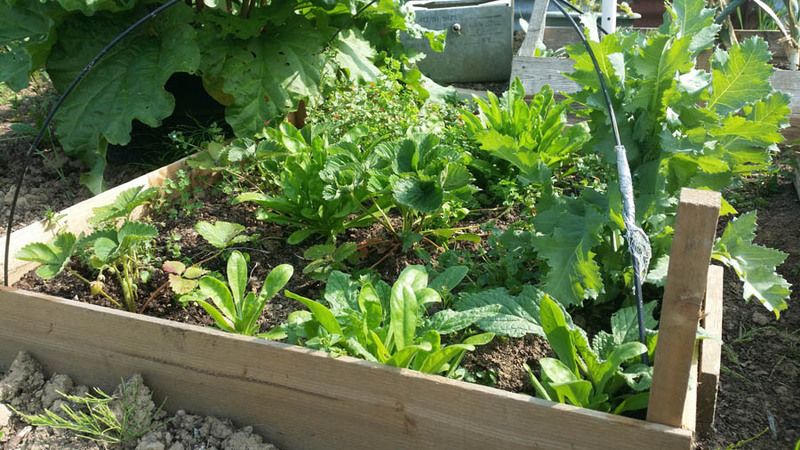 You can gradually build up the ground soil by emptying the raised beds and tyres at the end of each season and digging the good soil in. 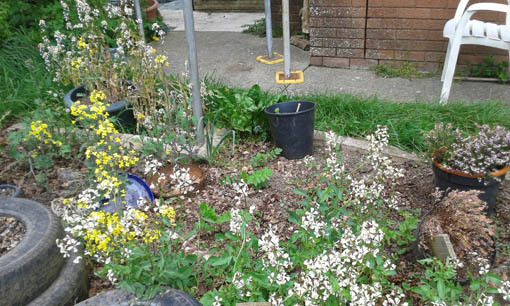 The rocket seeds will then provide a base of edible weeds, easily pulled up or left to grow if you are suddenly busy.